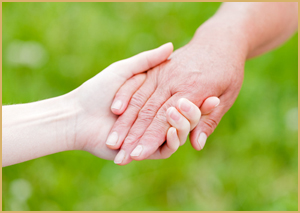 Lincoln Alternative Funeral and Cremation Services offers funeral services designed to meet your needs while being mindful of your budget. Our dedicated team of funeral care professionals balances service and efficiency, and passes financial savings to the families we serve. Alternative Funeral and Cremation Services offers traditional funeral home or church funeral services, traditional graveside services, or cremation services with a memorial or graveside option. To request more information regarding pre-planning/pre-arrangement, or to begin the pre-planning process, please call us at 402-429-1450. 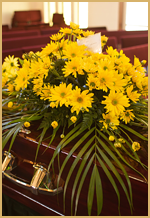 This option includes transportation of the deceased from place of death, full services of a funeral director for planning, coordination and documentation of services, embalming (necessary if a public viewing is to be held), other preparation of the body, the cremation fee, public viewing one hour before the service, and a funeral ceremony. Services may be held at Metcalf Funeral Home at an additional expense. Additional charges for Saturday or Sunday services. Price does not include casket, vault and certain cash advance items. This option includes transportation of the deceased from place of death, services of a funeral director for planning, coordination and documentation of services, the cremation fee, and a memorial service at a chosen facility. Price does not include casket, vault and certain cash advance items. Additional charges for Saturday or Sunday services. This option includes transportation of the deceased from place of death, services of a funeral director for planning, coordination and documentation of services, the cremation fee, and transportation to and coordination at the graveside. Price does not include casket, vault and certain cash advance items. Additional charges for Saturday or Sunday services. This option includes local transportation of the deceased from place of death, minimal services of a funeral director for planning, coordination and documentation, and the cremation fee. The family is responsible for placement of the obituary. 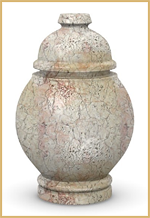 Price does not include urn, vault or any other services. A traditional service includes transportation of the deceased from the place of death, preparation of the body and transportation for services, coordination with the officiant or church/facility of your choosing, cemetery, and staff for directing church services, a one-hour visitation prior to the service at the facility, a committal service at the cemetery. along with 100 service folders, a memorial/registration book, 50 acknowledgment cards. Services may be held at Metcalf Funeral Home at an additional expense. Additional charges for Saturday or Sunday services. Price does not include casket, vault and certain cash advance items. A graveside service includes includes transportation of the deceased from the place of death, preparation of the body and transportation to the graveside, coordination with the officiant and cemetery, direction of the graveside services. This option does not include any visitation. Price does not include casket, vault and certain cash advance items. Additional charges for Saturday or Sunday services. This option includes removal and custody of the body, necessary authorizations, casketing and transportation to the cemetery. This option does not include any visitation, rites or ceremonies. Price does not include casket, vault and certain cash advance items. Additional charges for Saturday or Sunday services. Basic funeral or memorial choices at a good value.